A large percentage of what you experience in your life is a result of what is seen on the inside of your heart. 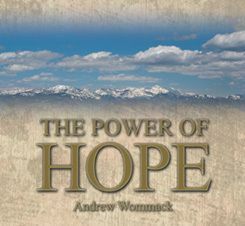 Did you know that the Bible says you can change the direction of your life by using the hope that God has given you? 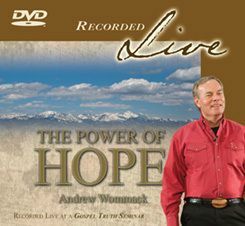 Learn how hope can produce a picture that your faith can give substance to. Nobody is as blind as someone who can see only with their eyes. That's a strong statement, but did you know that Jesus operated on that very principle? He saw things not only in the natural but also in the spirit. You can learn how to do the same thing and see supernatural results. Hope and expectation are two words to express the same thing. If your faith gives substance to what you hope for, then what you expect becomes a self-fulfilling prophecy. 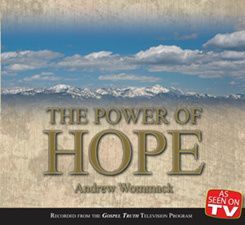 In this message, Andrew gives illustrations from the lives of Abraham, Elijah, and Paul to show that what they hoped for, what they expected, is exactly what came to pass in their lives.